Welcome to my blog! I've been in Brussels for two weeks now and figured it was about time to share my experience with the rest of the world. Sorry for the delay. I guess I've been too busy getting lost, eating waffles and pretending I know French. This is Rue du Bien-Faire. 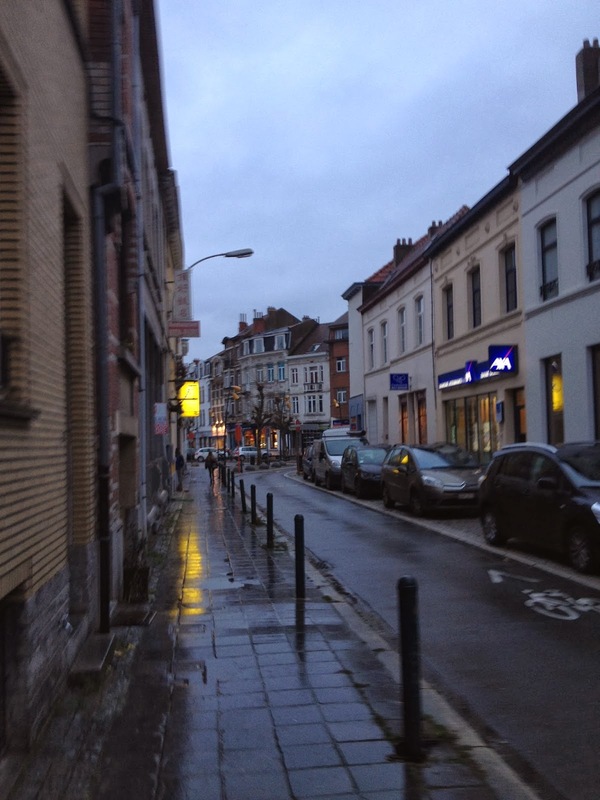 I live in a home stay on this street with another American student and the sweetest mom-daughter pair Belgium has ever seen. Also it rains a lot here. Plus there isn't fluoride in the water, so basically Belgium is the same as Oregon. The beer really is as good as you'd think. Better, actually. We toured De Halve Maan (The Half Moon) brewery in Bruges over the weekend and did our best to "sip like our Dads." That involves the pre-swallow lip clench featured in this photo. My dad used to brew beer and has always been quite the connoisseur. He is going to have a religious experience when he comes to visit in April. Can't wait to witness that glorious moment. Ooo la la- The Grand Place is my favorite spot in the city. Here's something goofy though. It's really difficult for us to find the place when we intend too, but the number of times we've stumbled upon it by mistake just keeps growing. I kind of hope it stays that way. Friends are fun! 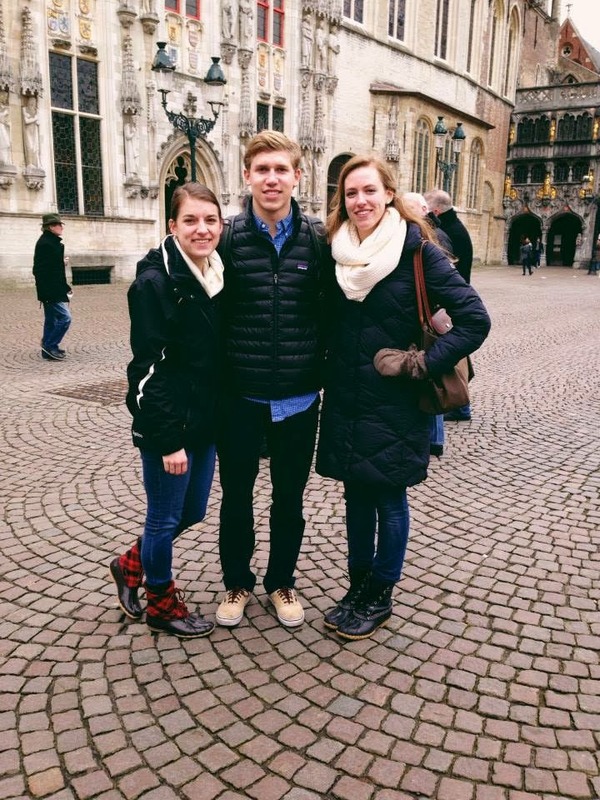 Sharing this experience with other students that picked Brussels for it's quirky charm and central location within Europe is supér. That's French for super. See, I'm learning. We've got some awesome trips in the works- London, France, Germany, Luxembourg, Spain, Italy and Greece. Wowza this is the LIFE.